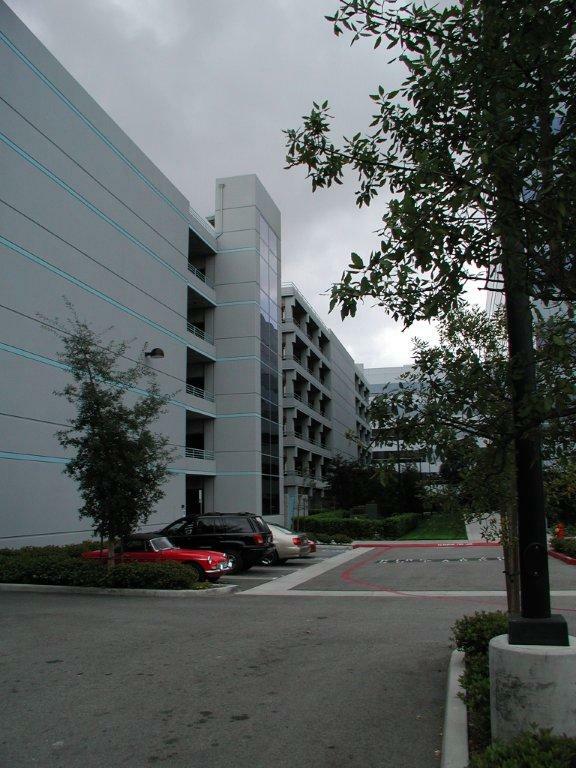 Continental Plaza‘s Phase 2 parking structure is an expansion of the parking structuresrequired for the adjacent office buildings, and is done as a 7-level horizontal expansion. 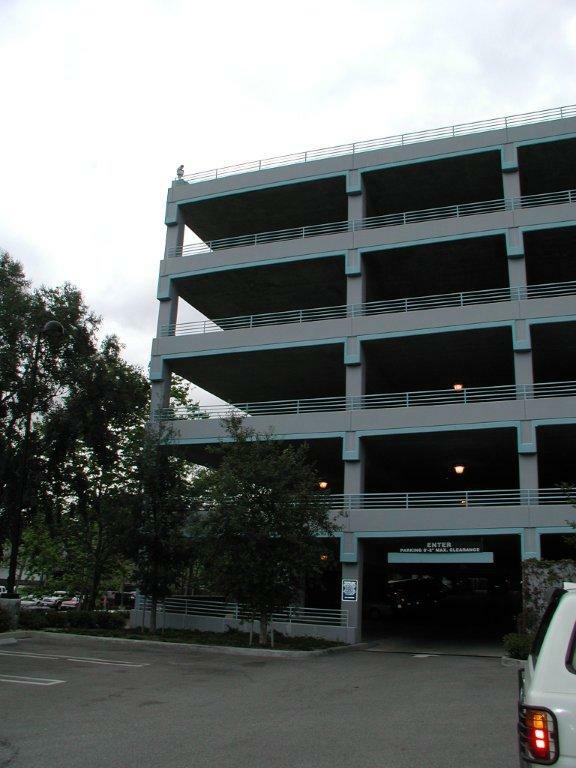 The parking structure is a cast in place post-tensioned concrete structure using along span Cunningham beam design. 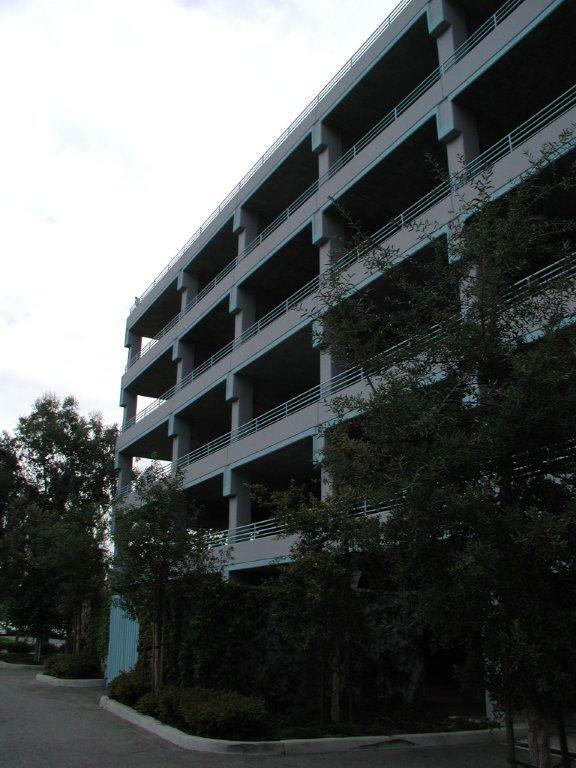 The exterior is cast-in-place concrete spandrels and metal railings. 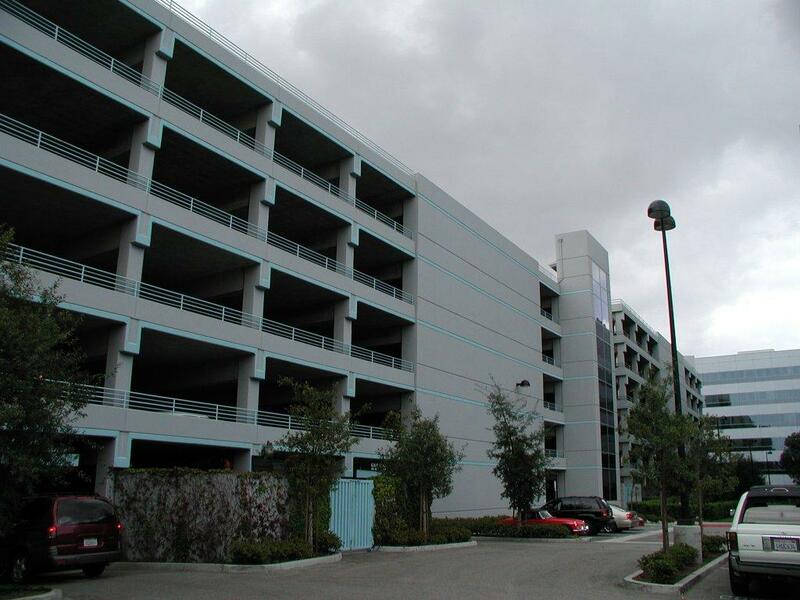 The three bay parking structure provides 739 stalls at an efficient 322 square feet per stall. 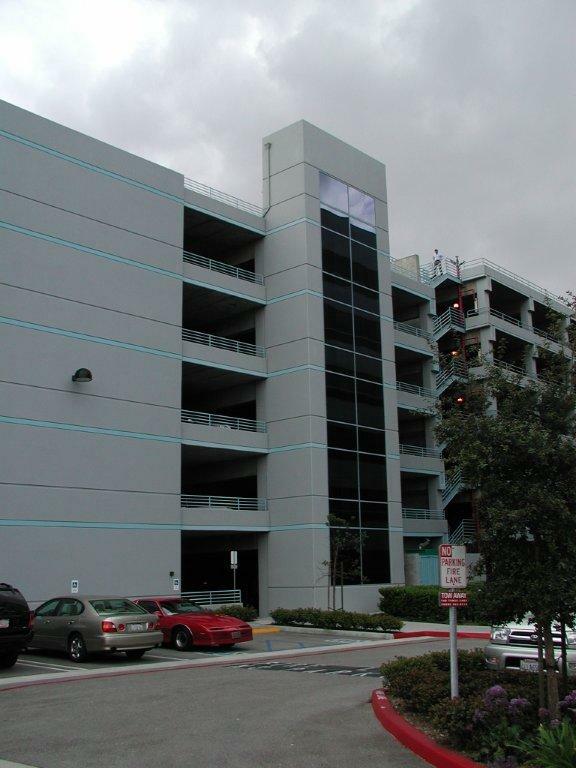 In response to the high demand for exiting commercial office parking structures, the structure was designed with a double helix scissor ramp system allowing users to traverse two levels in a single circuit. This greatly improved the flow and capacity of patrons leaving the structure.